Yeah, but: Now I want to meet a vexillologist. The Long Version: 99% Invisible is a tiny radio program about culture and design that's also a podcast. New episodes are mostly weekly, and past episodes have covered maps, city flags, sound design, concrete graffiti, cheque cashing stores, the considerations of authority and democracy in public space, and the possibilities of sending someone on a one-way mission to Mars. Pretty amazing stuff. It's rare for me to listen to an episode without scribbling a bunch of notes on ideas and websites to investigate. Hosted by Roman Mars, the stock episodes run about four and a half minutes, although there are some extended podcast-only shows that break double digits. It's tightly focused and well edited, and strikes a great balance between providing enough depth without bogging down into the esoteric. Roman Mars serves as an eloquent narrator and provides bridges between interview clips from interesting people. 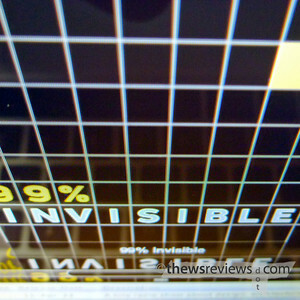 One of the best things about 99% Invisible is its production quality. Sound really matters, and there's none of the nonsense that mars so many amateur programs. Forget about those synthetic musical riffs accompanying long self-indulgent intros, and instead enjoy high production quality with some fascinating backing music. This is professional all the way, and it's worth listening to just for the sound of it all. For further reading, there's also an article to check out on transom.org, which is a site worthy of exploration for anyone who's interested in capturing or sharing sound. How big do the flags have to be? Small enough to see – and large enough to appreciate.